Roasting veggies is one of the easiest ways to cook them (and healthy too!) But this isn’t your average roasted broccoli recipe. This one includes red pepper flakes to give the green buds a spicy and delicious kick. It’s also topped with savory parmesan cheese and sweet, acidic lemon juice to give the broccoli a whole range of flavor. 2. Slice the bunches of broccoli into florets (little individual broccoli pieces) and then into halves or quarters. Leave a couple inches of stem on each piece. Transfer to large bowl. 3. Sprinkle red pepper flakes, salt, and pepper onto broccoli. 4. Drizzle oil evenly over broccoli. 5. 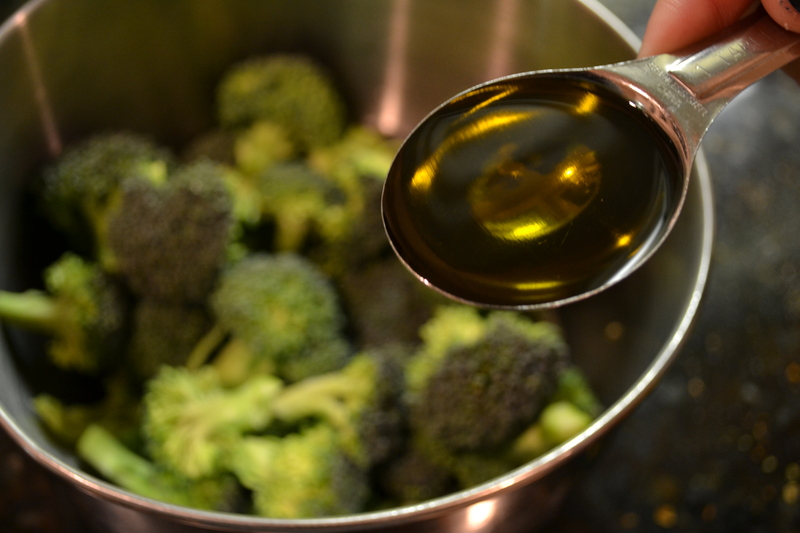 With your hand or a large spoon, toss the broccoli in the bowl until evenly covered with the seasoning and oil. 6. 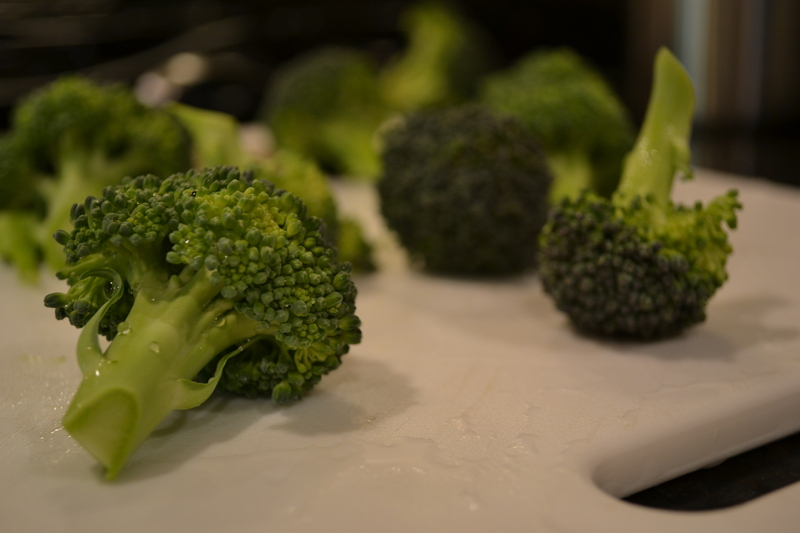 Spread out broccoli onto a parchment paper-covered cookie sheet. *No parchment paper? Spray the cookie sheet with Pam or grease it up with some olive oil. *No cookie sheet? Use a shallow glass pan. 7. Put into oven for 10-15 minutes, until broccoli heads start to brown. 8. Take broccoli out of oven and transfer to platter. 9. Drizzle with lemon juice and sprinkle grated parmesan over broccoli.